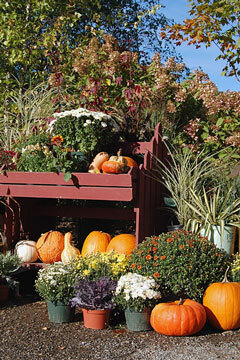 Plant nurseries fall into three main categories: the wholesale nursery, the retail nursery, and the mail-order nursery. 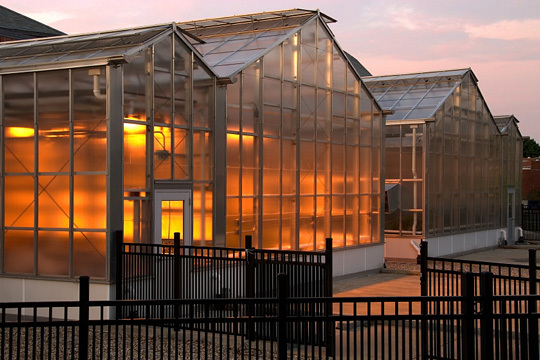 Wholesale nurseries grow in bulk and sell their plants and flowers to retail and mail-order nurseries, as well as to other types of businesses like landscapers and building contractors. When setting up a wholesale nursery, key decisions include what you will grow, who your customers will be, and how you plan to deliver plants to your customers. Basically, your customers will determine the sizes and types of plants you will grow, as well as where you will grow them. For example, if your main customers are landscapers, you will most likely be growing large, field-grown plants, as well as some container-grown plants for summer transplanting. If your customers are garden centers, on the other hand, you'll most likely be growing your plants in containers in order to make them accessible year round. Whatever you decide to grow, the key to being profitable in the wholesale nursery business is to choose to grow a limited variety, but then grow them in large numbers. 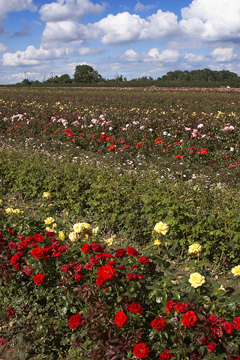 Wholesale growers generally need more land and a larger work force to make this formula work. Some wholesale nurseries specialize in small starter plants, known in the nursery industry as "liners." These nurseries sell the liners to both wholesalers and retailers, who grow them to a larger size before selling them to their customers. 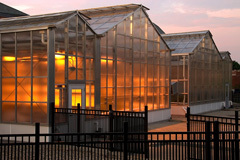 Types of plants sold by wholesale liner nurseries include tissue cultured plants, rooted cuttings, and seedlings. Most of today's liners are produced from seed, because these are inexpensive to obtain and easy to grow. Vegetatively propagated liners — meaning plants that have been genetically improved for size, uniformity, color, or other traits — are also becoming popular liner products. If there are any difficulties in the liner business, they include the need to maintain the plants for long periods of time, and the requirement to establish a good cutting stock. Seed growers must be very knowledgeable about the provenance of their seed, as trees from one area might not fare well in another area. Retail nurseries, quite simply, sell plants to retail customers. Some retail garden centers grow some of their own plants; others simply purchase plants from a wholesaler and then resell them. Retail nurseries should focus on defining their customer base, which will lead them to what they should sell. High-profit items for retail nurseries include larger plants and accessories like birdbaths, window boxes, garden tools, and accessories. Retail nurseries can also make a profit on services like replanting into decorative containers, and making custom planters. Mail-order nurseries sell their products through the mail. Some of them grow their own plants, and still others buy their inventory from wholesalers and then resell. In the mail-order nursery business, more than any other nursery business, it's important for the customer base to be defined. Nurseries that grow unique or specialty plants that can ship anywhere have a higher profit margin than mail-order nurseries selling plants that could be picked up at the local retail nursery. A good niche can ensure the success of a mail-order nursery.